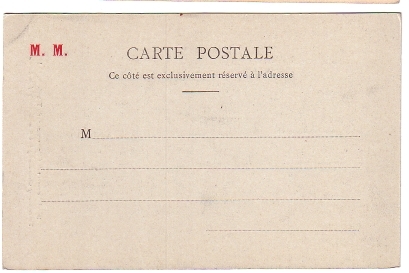 Postcard Particulars: First published by Tillot under different number. See cn00092 for the area to the right. 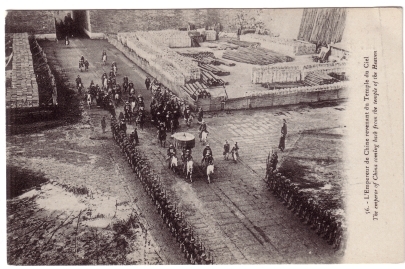 Action: Inside Qianmen, the gate south to the Forbidden City, an official cortege of horsemen passes between two rows of soldiers in modern uniforms and officials. At the front a horseman surrounded by officials is sheltered by a ceremonial umbrella. In the back, fences hide construction material on both sides. Image Particulars: Worshipping at the Temple of Heaven was one of the Emperor’s duties. Nobody was allowed to watch him pass.